M.O. 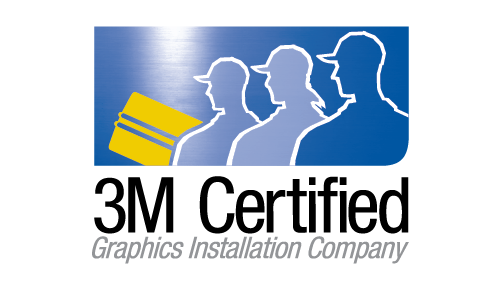 Graphics is proud to be a 3M Certified Installation Company as well as a member of the UASG! M.O. Graphics is a 3M Certified Installation Company and a member of the United Application Standards Group (UASG). This means that M.O. Graphics is certified and preferred for its best business practices, technical skill and knowledge. It also means that your vehicle graphics, wall graphics, floor graphics, or any other graphic is installed to the highest standards of quality and craftsmanship in the industry set forth by 3M and the UASG. For Graphics installation this is a benchmark of high achievement. To become certified there is large number of criteria that has to be met in order to be considered. 3M requires that all potential candidates submit pictures displaying previous work, must prove they have been in business for a number of years, and that they are insured to protect consumer property as well as having workmanship comp insurance. They also require an extensive list of references from installers asking them to rate the company in five different categories. Once the above steps have been completed an on-site interview is conducted where they get to know the installers, and the employees, observe the business in operation, and grade the business based on answers and info received. As part of the interview a 3M representative observes a vinyl wrap in progress and the installers are evaluated accordingly. Only once all of the above requirements have been completed, the board of director of the UASG votes to determine the eligibility of the company to be tested for certification. We then attended 3M's optional full installation training prior to the test in which we learned and confirmed we are using the best and most preferred graphic installation techniques. Once approved by the UASG board, rigorous hands on and written testing is conducted. The hands on portion includes several different textures and surfaces (flat, curved, corrugated, riveted, etc. )The written test is 70 questions based on 3M product and instruction bulletins as well as advanced questions regarding installation processes and quality control. The candidate must achieve a score 80% or higher to pass. Once the applicant has passed all the interviews and tests the scores are reviewed by both 3M and UASG. Only when approved by both is the company considered a 3M Certified Graphics Installation Company. In order to maintain this certification M.O. Graphics must routinely provide proof of continued employment of the tested installers and fulfill insurance requirements. Continued education in newly developed materials and tools is also required and additional testing may be implemented at 3M's discretion. In short , vinyl graphic installers must prove they are top in their field before they are awarded as a 3M Certified Installation Company. This means that we do quality work done right the first time that will last. This is what separated the good form the bad each and every time. Unfortunately, many people choose the under experienced installer in hopes of saving money, which generally cost the client in the end. These certifications are in place to separate the professional installer from the average installer in the over saturated market of graphic application companies that has substantially increased over the last few years.